A cross-party group of Japanese legislators has said it has drafted a bill proposing a four-year moratorium on the death penalty. The bill, a step towards abolition, will shortly be submitted to parliament and introduces life imprisonment without parole as a substitute. Japan and the United States are the only industrial democracies to maintain capital punishment. But the initiative is likely to meet stiff opposition. 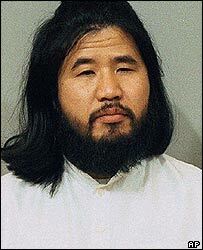 Critics have long described Japan's use of the death penalty as unworthy of a liberal democracy. As much as the principle of it, the way the death penalty is administered has been condemned both domestically and abroad: death row inmates are executed at short notice, to deter appeals. They are put to death by hanging, generally on a Friday and during parliamentary recess to avoid media exposure or public opposition. At the trial stage, defendants may not have easy access to a lawyer, and the prosecutorial system tends to value confessions above evidence. Abolitionist parliamentarians appear to think the time is right for reform. 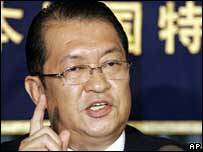 But the current Justice Minister, Kunio Hatoyama, is a vocal supporter of capital punishment. He has signed off six executions since taking office last September. And surveys suggest a majority of Japanese want to retain the death penalty for particularly heinous crimes. The country's violent crime rate remains low by global standards, but has risen considerably since the mid-1990s.